September in Retrospect and Great Things to Come! If you kept tabs on us, you’ll know that we had a fantastic time in Florida at Bouchercon! Here’s a picture of the Ginn Hale title we brought with us! 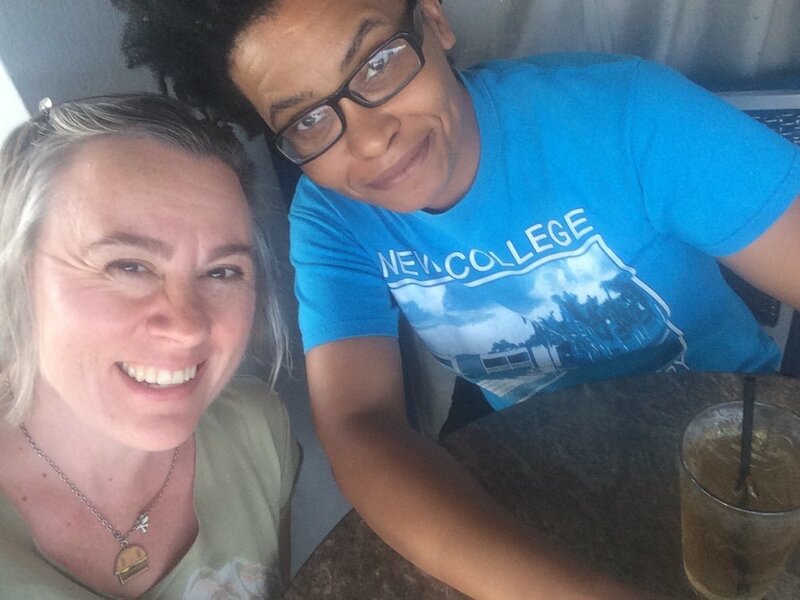 Here’s a picture of our head editor Nicole Kimberling having a great time with author of Smoketown, Tenea D Johnson. And here’s a picture of two jolly old gents having tea that we found pleasing at the Norman Rockwell museum of fine art in St. Petersburg. It was a lovely time, and we can’t wait to see all the lovely faces of those of you that came by again soon! As those of you who keep tabs on the blog will know, Geek Girl Con is quickly coming onto the horizon! There’s still time to get your ticket if you haven’t already, so grab yours and make your plans for the weekend of October 27th and 28th! We’re bringing the new printing of Ginn Hale’s Lord of the White Hell books with the beautiful new cover! If you haven’t seen it already, please direct your attention to our Facebook page, here! We’ve got another little goodie we’ll be bringing as well! A chapbook with the lesfic story from Ginn Hale’s book The Long Past and Other Stories. With so many goodies in October, it’s almost like we’re just handing out candy. Sounds like the right October spirit to us!